Simone Taddei’s workshop/store, directly across the alley from Dante’s Church in Florence, should be visited when you have plenty of time. Not only are there elegant burnished leather boxes, picture frames, desk sets and other leather gift items to be examined, admired and purchased, but Simone is an enthusiastic interesting man, who loves to talk not only about his work, but also about his worldview. Simone is that rare character, a Renaissance man, descendant from generations of Florentines. He is a philosopher, an observer of history and politics, a family man, but above all, he is an artisan. 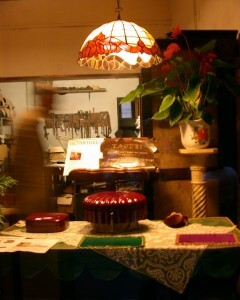 He is the third in a line of Master Craftsmen, specializing in fine leather work. 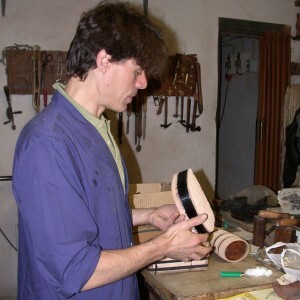 At the turn of the last century, Giovanni Taddei, Simone’s great-grandfather, was a shoemaker. His son, Otello, wasn’t interested in making shoes. He wanted to make fine leather boxes and eventually apprenticed himself to an leather artisan (cuoietto artistico) in the neighborhood. His own workshop thrived and he taught his son, the gifted Giampaolo, Simone’s father, the high standards of the true master craftsmen. Often their jewelry boxes and desk sets, destined for the homes of the wealthy, were decorated with gold-leaf Florentine designs by other artists, known as dorati. By 1984, when Otello died, he and Giampaolo were well known in Florence and abroad as leather artisans of the highest order. In 1976, Otello and Giampaolo became internationally known when they opened their first storefront studio on Piazza Pitti in front of the Pitti Palace. Orders came from the Paul Stuart Store in New York and Aspery in London. Simone, though still in school, started assisting in the workshop. Simone’s boxes are completely made of leather. (His large jewelry boxes, requiring lock and key, and his picture frames have a wood core.) On average there are thirty-two steps and twenty days of work in each small and medium-sized box. The large and baroque-style boxes require forty steps and fifty days because of the extra layers of leather and the complexity of the design. Each box starts with a wooden form on which dampened rawhide is bound and allowed to dry. Where the edges meet, Simone must shave the leather thin so that no joint is visible. The top and bottom of the form is covered with separate pieces of raw hide, completing the inner core of the box. Once the thick leather is completely dry, a thin supple layer of beige calfskin is attached with a natural paste and the edges are again shaved with a knife so that no seam shows. The box, once dry, is dyed with a lanolin dye and burnished with a hot smooth steel hand tool applied with great pressure not once, but twice, over the entire box to bring a shine to the leather and enrich the color. The side is cut to either allow a natural leather hunge (three-sided cut) or to allow the top to come free and to remove the wooden form. The edges are finished and the final polish is done. First, in November 1966, when the great flood ravaged Florence, most of the leather workshops were destroyed. (Otello and Giampaolo had just the year before moved their workshop to the northeastern periphery of the city where the flood waters didn’t reach.) After the flood, most of the leather craftsmen took the government recovery funds and started other easier and more profitable ventures. Second, in the past ten or twenty years, the master craftsmen (not only working in leather, but also in marble, iron, inlaid stone, etc.) of the previous generation have not encouraged, or been able to encourage, the next generation to undergo the grueling fifteen year apprenticeship that leads to an admittedly uncertain economic future. Instead, the new generation is urged to work in banking, retail sales or try some other line of white-collar work. Simone’s sixteen-year-old daughter and his five-year-old son are unlikely to follow the footsteps of their father, grandfather, and great-grandfather. Simone will tell you that he is feeling alone in the ever-changing Florence that is turning into a facsimile of it’s former self, abandoning its artistic heritage. Great blog and I love this entry. When you gave us our tour back in 2005, we were both enthralled with this shop (along with the others). We’ll be back in January 2009 and plan on visiting Simone again. About ten yers ago, I spent some time with you and bought a few frames a gift for a freiend which they loved. I was wondering if you could send me an email so that I can contact you to see if I can order a few more. Additionally, I am interested in seeing if you have any jewelry boxes that are available by Christmas. 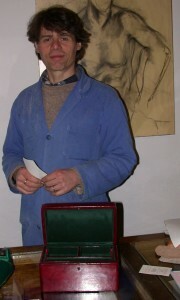 I have been to the Taddei workshop twice. The first time (1992) was when the shop was south of the Arno and Simone’s father was still alive. The second was at the present location in March, 2005. It is hard to describe just how beautiful the goods Simone makes really are. They are useful and durable as well. The shop is not easy to find, but well worth a visit. I would like a website or email address. Do they sell over the internet? Sig. Taddei is a marvelous artisan and a true gentleman. My company, EyeItalia.com carries some of Simone’s beautiful leather creations. Many are currently out of stock, but we hope to receive more goods in February 2009. I have had the amazing good fortune to be introduced to Simone through friends at his workshop and can honestly say that it was one of the highlights of my visits to Florence (and there were many to choose from.) I am so happy that I was able to purchase his leather boxes. They are truly gorgeous. And actually mean so much more to me because I got to meet and talk with the artist who created them. Please visit him when you go to Florence. You will be enriched. Hi Simone, we were 3 girls that came in your shop last summer of 2008. We bought cigar cases from you…..We love them….I am very sad because I lost mine……I would like to buy another one. Is there any way of ordering one and getting one sent? Please respond to this email address and let me know Thanks!!!! Simone – Alan here from San Francisco who purchased the beautiful brown leather box from you 3 weeks ago. This is one of my most treasured gifts from my trip to Europe. The pride and excellence of your work is evident. 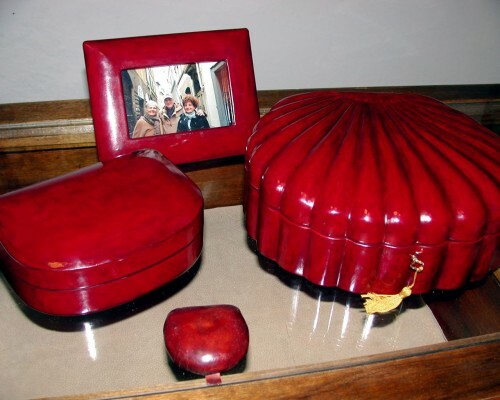 I was disturbed by the other leather boxes also sold in Florence that I expect are all “knock offs” from your work. You set the standard for leather craftsman. You are on my list to visit again when I return to Florence. Thank you for the extra time and outstanding service you shared with me. Best wishes to you and your family this Christmas season. Simone – it was a pleasure to meet you and see your quality craftsmanship of your leather goods. My family and I had a wonderful time while in Italy and were so lucky to have found your shop while strolling thru Florence. We’ve been showing everyone the leather goods we purchased at your shop and telling them how you were so patient with us….even with “the crazy American” (my brother in law Benny). Simone, I have several of your pieces, most notably a shell box, which is as you have said, a family reliquary. I have long sung your praises to anyone who would listen (or be going to Florence). You are one of the few proper and fine artisans left in Florence, and I am very glad you are receiving such good press for your efforts. I hope that the shop is prospering and that this finds you well. I’ll probably see you again in June when I’ll be there with sutdents in tow.. Be well! Great Article. I have been searching high and low for leather craftsmen who would be willing to accept an unpaid intern or volunteer. I am desperate to learn about leather crafts and I can not figure out any way to do it besides a degree seeking program at a University (which i don’t really want to do). If anyone knows of anyone who works with leather and would like a free worker, please let me know. I would travel most places for how ever long it takes for me to learn some of the basics. In the 1950’ties my parents brought home from Florence that kind of boxes for my coincollection. In 1969 I went to Florence with my wife and could not find any. But yesterday I found Simone Taddei’s shop. A most wonderful surprise. The finish and hue of his leather is unique. The ones you can find at the leather school behind St Croce are not as nice and cost much more. I bought gifts for my children at Taddei’s. 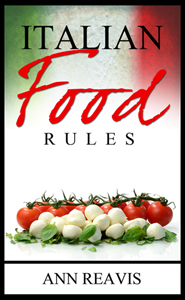 The must learn florentine quality at its best. Simone is still there and as busy as ever. About 38 years ago I bought several jewelry boxes from you. I would like to buy more jewelry boxes from you. Can you tell me what is available? Interested in buying scalloped shell mens jewelry box. How much? how do I order? I do not know the price. Call Simone using the phone number in the post. Simone speaks English. Two times while visiting Florence I went to your shop and purchased mens wallets. The wallets are both brown and black that is a single small wallet with three compartments on each side and a slit in the top to keep other things inside. I love your products and they last for years…….I would like to purchase one or two more wallets but can not find them in any of you product catalogs. See if you can help me! Dear Simone. My father and mother both in the 1940,s work in an American shoe factory making shoes by hand for 25 years. Please can I look at your product catalog of boxes. I’m hoping I can see them on email? I’m hoping to travel to Florence in The fall of 2016. I treasure handmade leather things.